Daniel Negreanu kicked off the New Year by making a list of goals he would like to accomplish on the poker tables in 2012 and his most desirable are to cash at least $1 million in tournament winnings and to regain the top spot on poker’s All-Time Money List. 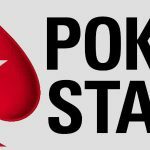 The Canadian pro has been establishing his goals at the start of every year for the last few years and already has a good shot at the $1 million in tournament cashes for this year, as he finished in 5th place just a few days ago in the $100,000 PokerStars Caribbean Adventure (PCA) Super High Roller Event for $250,900. The PCA buy-in was a lofty $100,000, which saw 30 players pony up the entry fee, with two additional re-buys. That’s a lot of cash to lay out in entry fees. As such, the 37-year-old said that he may be selling part of his action in particular events, such as the BIG ONE for ONE DROP. Negreanu surpassed the $1 million mark in poker tournament earnings two of the last three years. In 2009, Kid Poker took home $1,224,895, faltered a bit in 2010 in winning only $683,825, but rebounded last year with $1,534,367 in tourney winnings. His goal of being numero uno on poker’s All-Time Money List is certainly attainable, as Negreanu held the spot in January of last year, taking over the reign from Phil Ivey, the leader at the time, after a 2nd place finish at the 2011 PCA Super High Roller event. But two months later, Eric Seidel ousted Negreanu from the top spot by winning the National Heads-Up Poker Championship for $750,000. Seidel continued having a stellar year, pocketing $6,530,153 in winnings to advance his career total earnings to $16,885,167, putting Negreanu in 2nd place at $14,901,459. Negreanu’s other listed goals for this year include winning a WSOP bracelet. In previous years, he had set goals of winning two bracelets for the year, but since he hasn’t won a gold bracelet since 2008, he has adjusted that particular goal. Negreanu also has resolved to “have a better year than Jason Mercier,” who he considers to be the model of consistency. 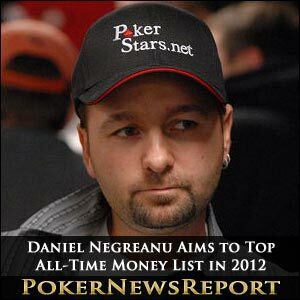 The complete list of Negreanu’s goals for 2012 can be here at fullcontactpoker.com. Good luck Daniel!